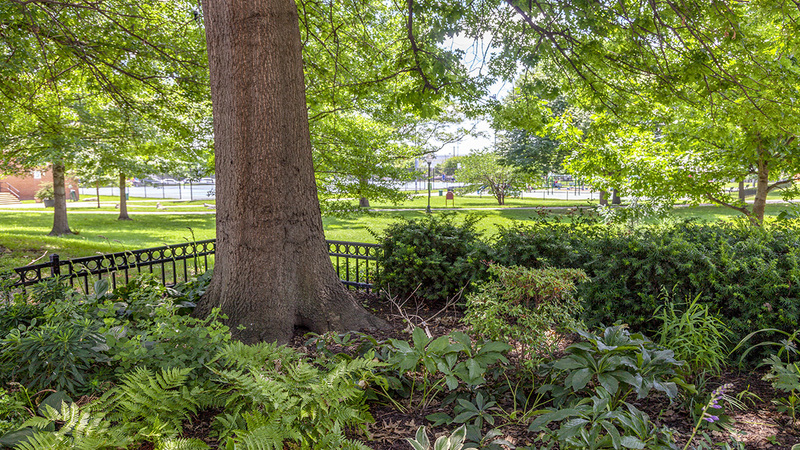 Located in the Locust Point neighborhood, this park was established in 1902 and is named after Baltimore mayor Ferdinand Latrobe. 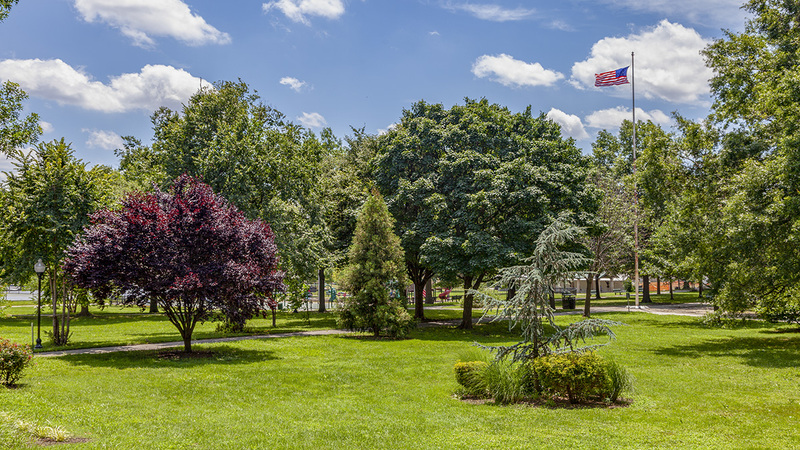 Hoping to serve the residents in this heavily industrialized area, the city purchased six acres within the neighborhood and soon hired the Olmsted Brothers firm to design a landscape that included playgrounds and venues for active recreation within a setting of lawn and canopy trees. 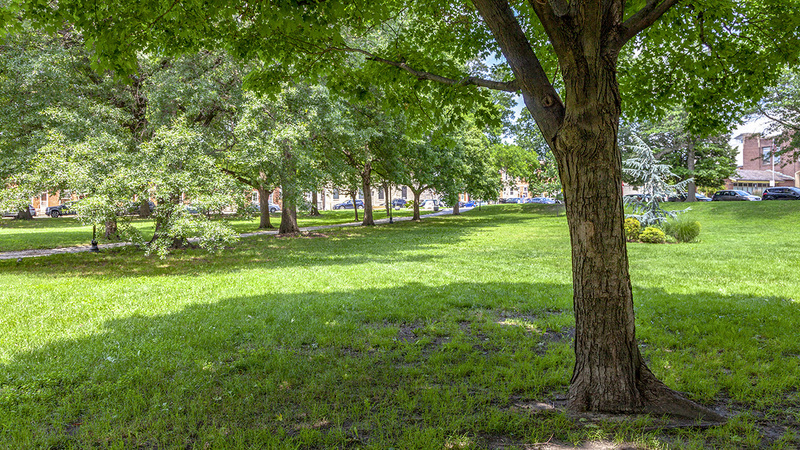 The city later purchased additional land on the park’s southwestern edge, expanding its footprint to thirteen acres. 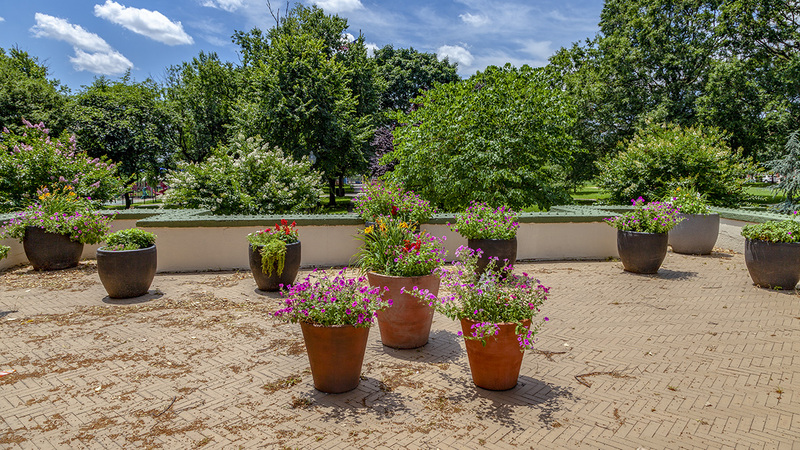 The park is situated on ground that slopes down towards the Middle Fork of the Patapsco River to the south of Locust Point. The Olmsted Brothers plan established three distinct, generally flat areas separated by elevation changes of several feet. 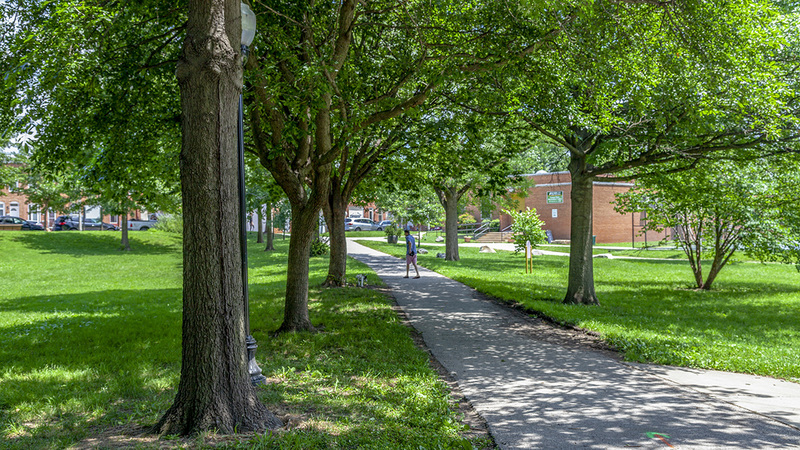 Primary access to and from the site is provided along its northern border with Fort Avenue, which is lined with mature canopy trees. 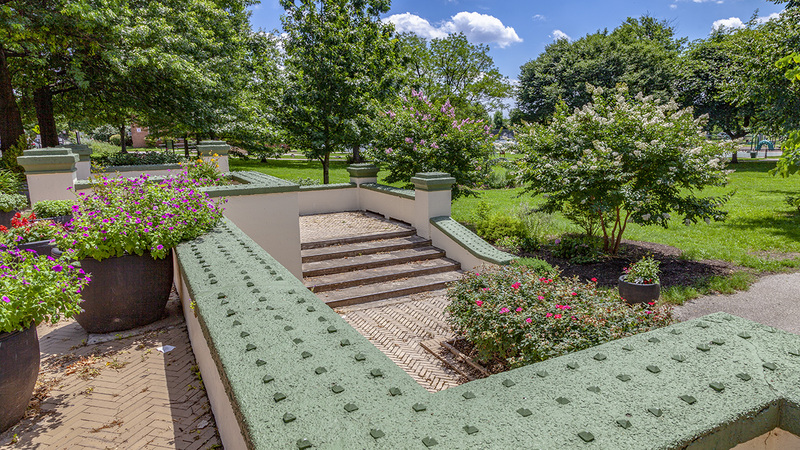 A brick-and-concrete staircase in the center, paved in a herringbone pattern and including an overlook and small fountain, leads to a central promenade that traverses an open lawn along a north-south axis; the change in elevation is also negotiated by tree-lined curvilinear paths at the site’s corners, which converge with this axial walk. 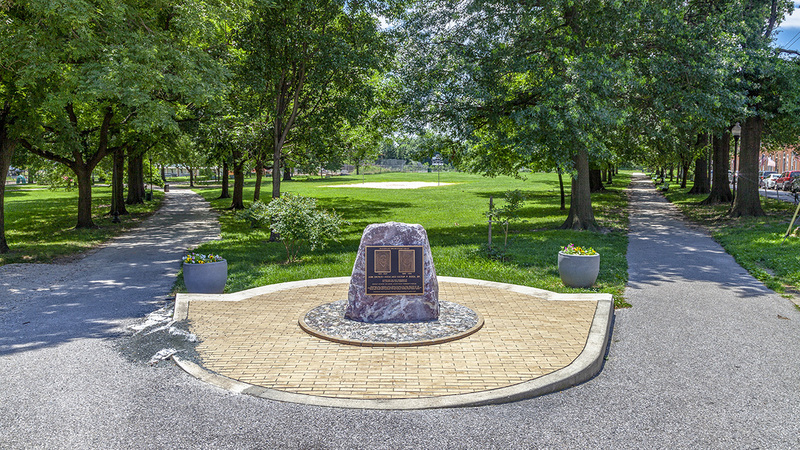 The center of the site includes a grove of trees at the end of the central path, flanked with playgrounds and lawn; a fieldhouse and piazza immediately south of the grove overlook sports fields in the southernmost portion of the park. 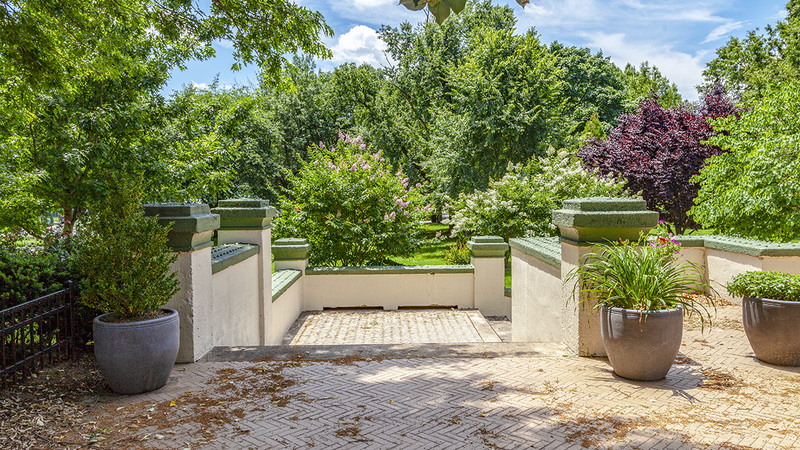 While the prospect from the grove once afforded views of the river, a dense tree canopy on the park’s southern edge now screens the nearby highway and maintains the pastoral atmosphere of the site.